Olburgen is a village 6 kilometres south-west of Steenderen, lying 1 kilometre east of Dieren on the main Arnhem-Zutphen road. 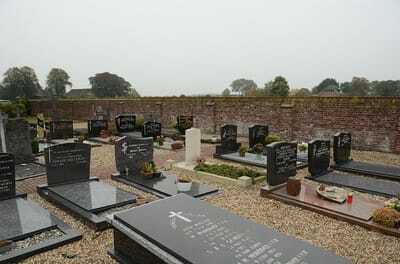 The Roman Catholic cemetery is very small and adjoins the church in the centre of the village. 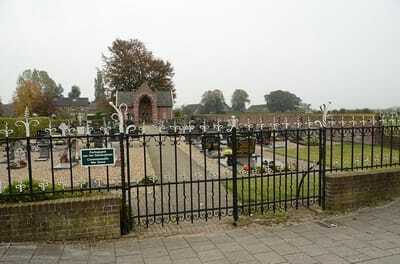 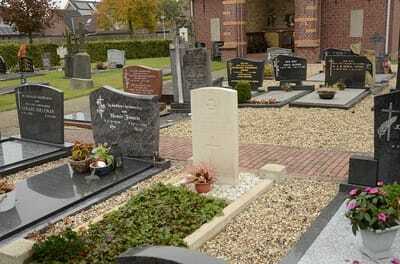 The one British grave is on the left of the entrance, beyond the path which leads to the church. 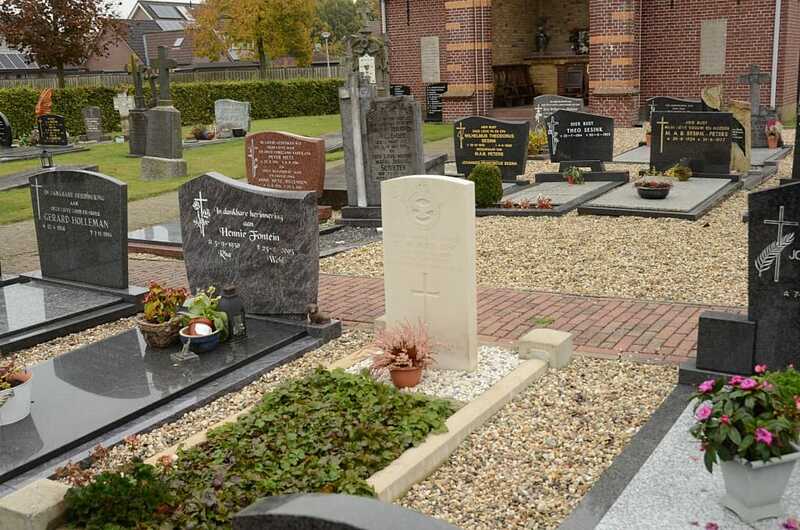 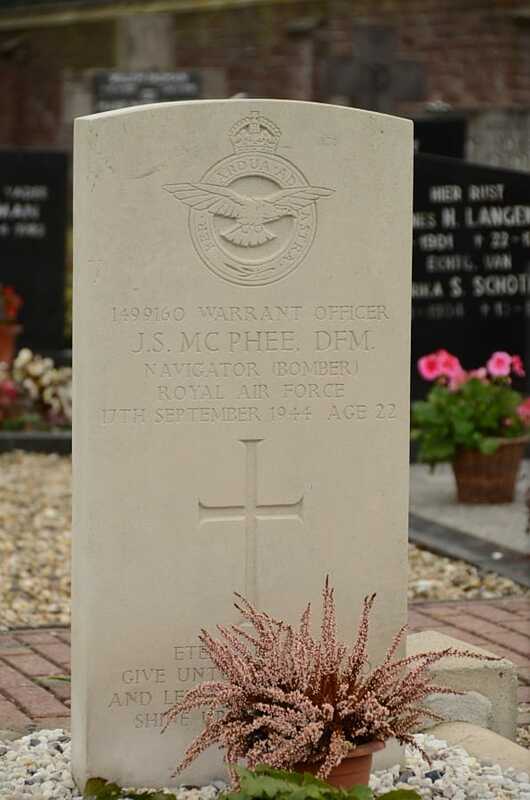 1499160 Warrant Officer John Sim McPhee, D. F. M., Navigator (Bomber) in 107 squadron, Royal Air Force Volunteer Reserve, died 17th September 1944, aged 22. Son of John Sim McPhee and Florence Margaret McPhee, of Chester-le-Street, Co. Durham.